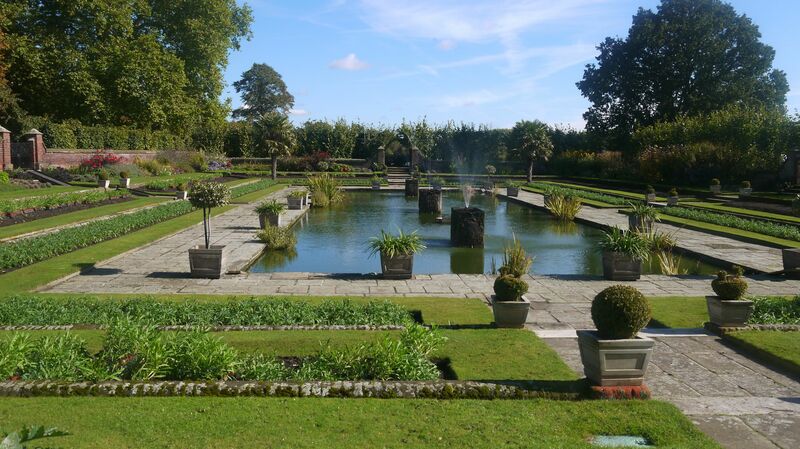 Planning to visit the famous Kensington Gardens in London with your kids? Children of all ages are in for a great time in the lush green gardens of Kensington. Did you know that Hyde Park and Kensington Gardens combine over 500 acres of land, smack in the middle of London? Such immense coverage accommodates a number of fun filled activities to be enjoyed with the family at these two popular tourist destinations. According to The Royal Parks, an Executive Agency of the Department for Culture, Media and Sport (DCMS), close to a million Londoners and tourists from around the world visit these gardens each year. A number of magnificent trees, ornamental flower beds and formal avenues are planted throughout the 240 acres of Kensington Gardens. If you enjoy nature in all its glory, you cannot miss visiting this place on your trip to London. For accommodation that is within easy reach, look for hotels near Kensington Gardens and Palace or cheap hotels in Kensington so that you remain connected to more such tourist hotspots. There is a lot to do in this park, but the place that interests most tourists is the Princess Diana Memorial Fountain. On weekends, you can spot a number of families enjoying the fine weather, while soaking their toes in the refreshing waters of this fountain. Resembling a bubbling mountain stream, this traditional fountain is a tribute to the memory of the late Princess of Wales. Boating is another popular activity in this park during the hot summers. The Serpentine is a large lake in Hyde Park, created by Queen Caroline in the 18th century. A number of peddle and row boats can be seen rocking in the river, along with house boats towards the north end of Serpentine. The lake also has a charming children’s wading pool, complete with a playground for toddlers. Families with kids can relax here, since there is an outdoor cafe that provides snacks and refreshments, such as ice cream, lounge chairs and lockers. If you are planning to visit this royal park, a good idea is to stay at one of the budget hotels in Kensington, such as Eden Plaza Kensington Hotel, known for its comfortable accommodation and proximity to interesting tourist attractions. There is much to do and explore in these gardens for adults and kids alike. The famous Peter Pan Statue, surrounded by fountains, statues, long waters, a playground and Italian gardens, is definitely worth a visit. JM Barrie wrote Peter Pan when he was inspired by the beauty and purity of these gardens. There is also the Diana, Princess of Wales Memorial Playground, complete with a pirate ship, swings and other such children’s activities. You can enjoy tasty snacks while your children play in this memorial playground. Who can forget the Science Museum and Victoria and Albert Museum situated in these gardens? If you want easy access to all these family adventures, book accommodation at one of the acclaimed hotels near Kensington Gardens, such as Eden Plaza Kensington Hotel, for a memorable holiday.